Last week Monty was victim of a drive-by biking. Yep. A guy on a bicycle ran him over as he walked innocently along a sidewalk late at night, listening to his iPod. We think that maybe the guy was wearing one of these filled with Vodka. 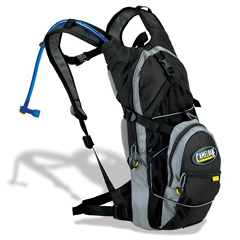 You, however, should fill yours with water during a long day of cycling: The Camelbak M.U.L.E. Hydration Pack. An international consortium of scientists has cracked the genetic code of the female X chromosome! This long awaited discovery shows “that females are far more variable than previously thought and, when it comes to genes, more complex than men.” Yeah, like THAT’S going to come as a big surprise to the men out there! 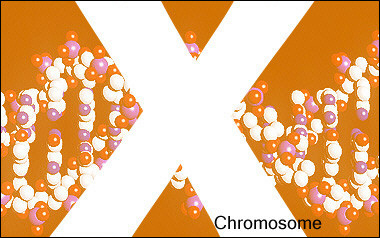 The X chromosome is linked to over 300 diseases, and contains genes and information that may help with diagnosis of many illnesses, including hemophilia, blindness, leukemia, autism and even obesity. Washboard Abs make me want to do laundry!